This week has been crammed full of memories. Sometimes I live life in the here and now and sometimes I can hardly get out of bed without being reminded of the past. People, smells, moments, thoughts and objects long forgotten gatecrashing the present. These are some of my favourite things when I was a child that I hope walk the path of nostalgia without the rose-tinted associations. 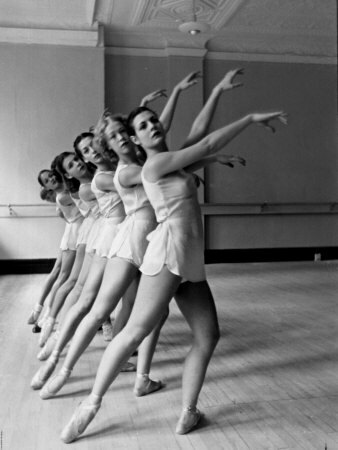 I loved ballet so much I considered dance school when I was eleven but the desire to be normal won out. I think it was a good decision made for the wrong reasons. Although I still trot along to adult ballet classes every week, this photograph reminds me of days spent putting pins in my hair, forgetting myself in the movements and my body actually doing what I wanted it to. I was a passionate collector when I was a child. I remember selecting and curating rocks, rubbers, teddies and polar bears but I’m sure there were more. I think it was the collection itself, and in particular the way it looked as a whole, that I most enjoyed and not the items themselves. I remember being obsessed with small houses, dens and camps and I had a wigwam that I absolutely loved. This lovely bell tent makes me want to pitch it in my garden and play sleeping and eating with my children all over again. It is nice to take some times to remember simple joys of childhood – thanks for sharing!